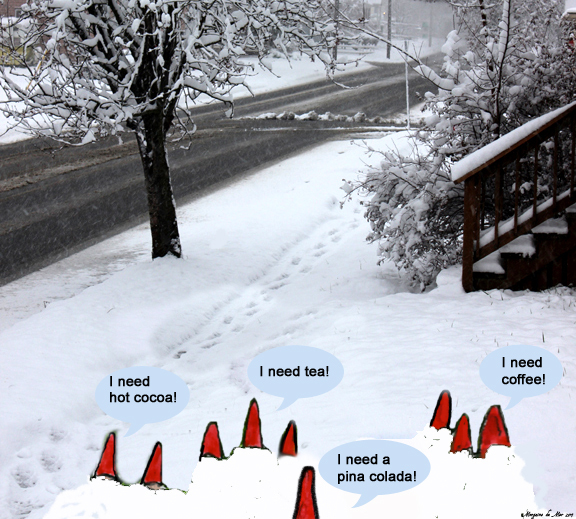 Henri and the other gnomes are in need of something hot to drink. Yes, you can drink pina coladas in these mugs as well!
? I must be overlooking the obvious but I’m not understanding.